The criteria for judging included jobs, schools, local shops and broadband speed. Other towns to top the list in their regions were Altrincham, Greater Manchester and Ballyhackamore in Northern Ireland. The city of York - one of Britain's historic capitals - boasts a beautiful cathedral, near-complete Roman city walls, a castle and a plethora of museums. It's also famed for its connection with the railways (the National Railway Museum can be found in York) and with the chocolate & confectionary industry - Rowntrees was founded here, and Nestle have a UK headquarters in the city. York also has the fastest internet speeds in the country. The Sunday Times refers to the city's "perfect mix of heritage and hi-tech". 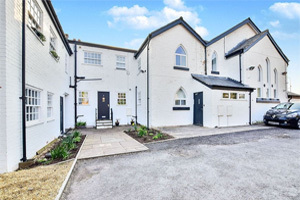 According to the guide, house prices in York have risen 6.3% in a year to an average of £301,320 and if you're looking to buy or rent in York, Reeds Rains have three branches to help you. Located on one of York's oldest streets, Micklegate, Reeds Rains York lists a variety of houses, flats and bungalows in the city centre and further afield in sought after villages. According to branch manager John Wroot, "Demand for homes in York is resilient to market changes especially in popular locations where properties will always get snapped up quickly." Learn more about property in York city centre. All property for sale in York. All property for rent in York. A couple of miles from York city centre, Acomb is one of York's largest suburbs. Acomb has historic foundations in its own right though - even appearing in the Doomsday book of 1067. Property prices tend to be lower than those in the city centre, and Acomb is home to many young families and first time buyers. Learn more about property in Acomb. All property for sale in Acomb. All property for rent in Acomb. The town of Haxy is five miles north of York. It is bordered by the village of Wigginton, whose expansion has led to the two becoming a continuous urban environment. This is a very sought-after part of York due to the good commuter routes into the city, the highly rated schools, and the range of desirable properties. The Haxby branch also lists properties in the rural villages of Strensall and Easingwold. Learn more about property in Haxby. All property for sale in Haxby. All property for rent in Haxby.